Joan Holliday first invited me to do the “Best New Song of the Week” spot with her on WRSI-FM (93.9) in early 2012 — our inaugural Best New Song, in fact, was “Show Me the Place” from Leonard Cohen’s “Old Ideas.” We haven’t hit every single week since then, but we’ve done pretty well over the past four and a half years. Often Joan will ask as part of the set-up, “What is it that you like about this song?” It’s always a good question, and I’m going to attempt to begin using this space to give better answers, as a sort of companion piece to the radio spot (which usually airs Wednesdays in the 4 p.m. hour on The River). 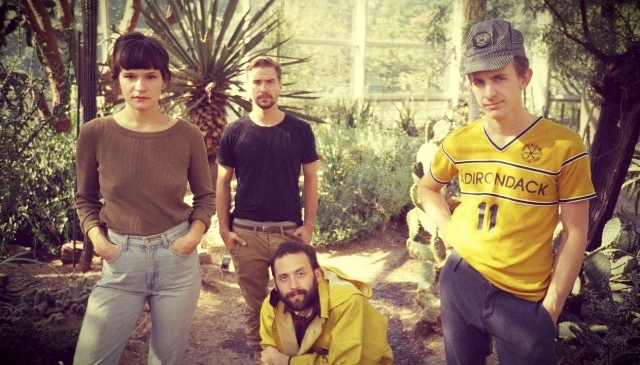 It’s an auspicious start: this week’s song is “Masterpiece” by Big Thief, and while it’s not, strictly speaking, new — the song came out in February as a single, and the album “Masterpiece” came out in May — it’s a tune I love so much that I don’t want to stop listening to it. For one thing, it’s full of big, growly guitars that are visceral and enveloping. They put you in the middle of the song before exploding into a noisy, slightly discordant solo break that keeps you from getting too comfortable. Then there’s Adrianne Lenker’s voice, which has a rough-edged sweetness to it that conveys resignation, bemusement and a subtly fierce undercurrent of devotion. Her lyrics reflect the same sensibility, and if the crush of bristly guitar that opens the song didn’t get me, the first lines would have: “Years, days, makes no difference to me, babe/ You look exactly the same to me.” Lenker in the press material describes the album as “the process of harnessing pain, loss and love, while simultaneously letting go, looking into your own eyes through someone else’s and being OK with the inevitability of death,” and that may well be what this tune is about. But it also seems like a song of steadfastness, of sticking it out with a friend or loved one through whatever may come. We all have the people who are somehow a part of our tribe — the ones you stay in sync with even as life pushes and pulls you in different directions. Whatever else “Masterpiece” is addressing, it feels like a song for those people. “There’s only so much letting go you can ask someone to do,” Lenker sings toward the end, with the world-weary air of someone who’s seen a lot of life. Luckily for her listeners, despite a decade or so of experience that began when she was 14, Lenker is young enough that she’s really just getting started.